Danny vs. the internet: The Titanic was only #5! The 10 deadliest maritime disasters to date... Why don't I just copy and paste the source article. The MS Estonia was in choppy water when passengers began hearing loud metallic bangs, the sound of waves hitting the cargo doors. In a matter of minutes, they had separated, allowing water to pour into the lower deck, before the ships four engines cut out completely. Massive flooding kept those on the lower deck from making it out; only those on the upper deck were able to escape. The MV Bukoba was a passenger ferry known to disregard safety regulations. It had no life jackets, no life rings, no life vests, no proper firefighting gear; it forwent regular vessel and equipment inspections. 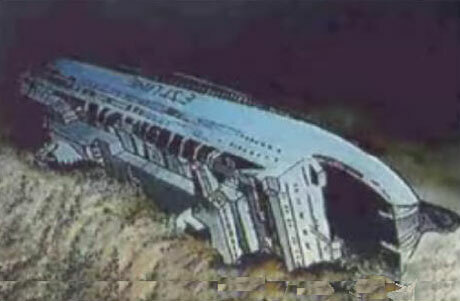 The Bukoba began to sway, causing large kitchen equipment, dishes, pots and pans to crash to one side of the ship. The load bang sent the passengers into a panic, and when they rushed to the deck, the ship capsized. A former captain of the Kenyan Navy called its sinking "an accident waiting to happen." Royal Edward was a passenger ship, used to transport Commonwealth troops, mostly reinforcements for the British 29th infantry during the First World War. About 10am, the ship was hit by two German torpedos; it quickly sent out an SOS before losing power. She sank stern first in just six minutes. The ship had just finished conducting a boat drill and most of the men were still belowdecks, which account for the tragically high number of fatalities. In 1921, the passenger steamer SS Hong Moh, traveling from Singapore to Amoy (China), went down after coming into contact with the White Rocks on Lamock Island, in the South China Sea. The ship broke in half; by the time the first rescue ship arrived, 3 days later, most of the passengers and crew had died. The Empress of Ireland a Canadian ocean liner, was traveling down the Saint Lawrence River in thick fog when she collided with a Norwegian collier. The collier didn't sink, but the Empress of Ireland listed rapidly. Water poured in through the portholes, quickly drowning those below deck. It remains the worst disaster in Canadian maritime history. Her wreck lies in a shallow 130ft of water, making it accessible divers, many of whom have retrieved relics from the vessel. The al-Salam Boccaccio left port, already listing, in poor weather condition, en route from Duba, Saudia Arabia, to Safaga in southern Egypt. A fire broke out in the engine room, which continued to burn for some time, as the crew used buckets of seawater to try to extinguish the flames. The fire was temporality put out; when it started again the captain tried to turn around to return to port, but the because the drainage pumps weren't working, water had collected in the hull, offsetting the balance and resulting in a capsize. Strong winds and poor weather complicated rescue efforts, leaving dozens of dead bodies floating in the Red Sea. The SS General Slocum was a passenger steamboat built in Brooklyn, NY. She was carrying a members of St. Mark's Evangelical-Lutheran Church to a church picnic, traveling up the East River to the Long Island Sound, when a fire broke out in the Lamp Room. The flames grew rapidly, fuel by lamp oil, oil rags, a nearby paint locker, a cabin filled with gasoline. The ship's safety equipment was not maintained or checked; and when the crew attempted to put out the flames, the found a rotten fire hose the crumbled in their hands. The life jackets fell apart, too, and the lifeboats were inaccessible, wired in place. Ultimately, the passengers––many of whom, like most Americans at the time, did not know how to swim––jumped into the river and were weighed down by their heavy wool clothes. The Lusitania steamed out of New York, carrying a hidden cargo of munitions and contraband for the British war effort, as well as civilian passengers. She sank in a quick 18 minutes, after falling victim to a torpedo attack, which ignited the hull full of gunpowder, creating and argument on both sides of the war over whether a passenger ship could be considered a legitimate military target. When she first set sail, the Titanic was the largest ship afloat. As we all know, she hit a giant iceberg and sank in the middle of the ocean, en route from Southampton, England, to New York City. 'Twas her first and her last voyage. Location: In the Mississippi River, near Memphis, Tennessee. The SS Sultana was a Mississippi River steam-powered paddlewheeler that sank near Memphis, Tennessee after three of her four boilers exploded. Thought of as the greatest maritime disaster in US history, it got little attention at the time of its sinking, because the assassinations of President Abraham Lincoln and his own killer, John Wilkes Booth, and the end of the American Civil War, had all happened just days before. The Joola, a Senegalese government-owned ferry designed to carry a maximum of 580 passengers, had at least 2,000 on board, when it capsized in rough waters during a dangerous storm in late 2002. It was down in under 5 minutes, passengers and luggage tossed into the sea. Location: the mouth of the Huangpu River, about 50 miles north of Shanghai. The Kiangya, a passenger steamship packed with refugees from the Chinese Civil War fleeing the advancing communist parties, blew up and sank after hitting what most believe was a mine leftover by the Japanese Imperial Navy. Several hours passed before rescue boats arrived. Most of the passengers aboard the MV Doña Paz were asleep when the ship collided with the MT Vector, an oil tanker carrying 8,800 barrels of gasoline and petroleum. The collision ignited a fire abord the Vector that spread to the Doña Paz, leaving desperate passengers with no other choice than to jump into the the shark infested waters and swim among charred bodies. Estimates of casualties vary because of overloading and unmanifested passengers, and could be as high as 4,000, making this the deadliest peacetime shipping disaster, ever.